Just before 3 p.m., Sherry Goodlow placed a frantic 911 call to Oklahoma City police, saying her ex-husband had run her off the road and taken their 2-year-old son, Scott. Her Ford Mustang was later found in high brush near Lake Stanley Draper. Her body was found inside. She had been shot 4 times, suffering wounds to the arm, chest and head. Witnesses identified Darks' car following her that afternoon. Darks claimed he was told by Goodlow to pick up their son and he was recovered unharmed from Darks' residence. Goodlow and Darks had a long and stormy relationship that included several incidents of violence which led to Darks' arrest. Several jail inmates testified that Darks' admitted the killing. During questioning, Darks denied seeing Goodlow that day, but told police that she got what she deserved. Darks also gained bizarre notoriety in January 2003 when he was indicted - while on death row - for trying to defraud up to $1 million from the compensation fund set up for victims of the Sept. 11 2001 World Trade Center attacks. And, while awaiting execution, Darks also sent phony letters to newspapers, written under the name of an executed inmate, claiming to be the real killer. Darks v. Mullin, 124 S.Ct. 433 (2003) (Cert. Denied). Darks v. State, 954 P.2d 152 (Okla. Crim. App. 1998) (Direct Appeal). Darks v. State, 954 P.2d 169 (Okla. Crim. App. 1998) (PCR). Darks v. Mullin, 327 F.3rd 1001 (10th Cir. April 12, 2003). Six extra crispy chicken breasts with hot sauce, six rolls, a bag of jelly beans, a bag of red licorice, six glazed lemon donuts and six cream sodas. "Y'all take care of yourselves. Do what you can for Scott. I'll see y'all later. This is it. It's over. Praise the Lord! Praise God! Whoooo!" McAlester, Okla. - A man who killed his ex-wife was executed at the state prison Tuesday night after the U.S. Supreme Court rejected his claims that lethal injection is cruel and unusual punishment. Tyrone Darks, 39, went to his death just after 6 p.m. at the Oklahoma State Penitentiary. Darks had received a chance at life when a federal appeals court in Denver last week stayed his execution pending review of a claim that drugs used in lethal injections cause suffering. But, the Oklahoma Attorney General's office appealed that decision to the U.S. Supreme Court, which lifted the stay. In two recent cases, the high court has now rejected claims that lethal injection is cruel and unusual punishment. Again in the Darks case, the vote was 5-4 to lift the stay and allow the execution. Darks was sentenced to death for the murder of his ex-wife in 1994. Darks also gained bizarre notoriety in January 2003 when he was indicted - while on death row - for trying to defraud up to a $1 million from the compensation fund set up for victims of the Sept. 11 2001 World Trade Center attacks. And, while awaiting execution, Darks also sent phony letters to newspapers, written under the name of an executed inmate, claiming to be the real killer. The murder that sent Darks to death row occurred in Cleveland County on August 7, 1994. It was on that day that Darks killed his ex-wife, Sherry Goodlow. Prosecutors charged that Darks shot her six times and then took the couple's 2-year-old child. Court documents stated that Darks later confessed to the murder. At trial, prosecutors presented numerous witnesses who testified of numerous incidents in which Darks had been arrested for assaulting his ex-wife. The victim's father testified, also, that Darks had previously threatened to "put a cap" (shoot) in his daughter. Court documents stated that besides the confession, other key evidence against Darks included testimony that his car was seen accelerating and turning behind Goodlow's car before she was killed. Darks asked for a last meal that included chicken breasts, a bag of jelly beans, licorice, lemon-glazed doughnuts and cream sodas. Execution Date Set for Darks 11/04/2003 - The Oklahoma Court of Criminal Appeals today set Jan. 13, 2004, as the execution date for Cleveland County death row inmate Tyrone Peter Darks, Attorney General Drew Edmondson said. Edmondson requested the date Oct. 20 after the United States Supreme Court denied the inmate's final appeal. Darks was convicted and sentenced to death for the Aug. 7, 1994, murder of his ex-wife, Sherry Deann Goodlow, 26. Darks shot Goodlow six times after running her off the road and taking the couple's two-year-old son. Oklahoma County death row inmate Hung Thanh Le is scheduled to be executed Jan. 6. The following evidence was presented during the guilt phase of Darks' trial. On August 7, 1994, the day of her death, Sherry Goodlow went to church with Scott, her two-year old son by Darks. After the service, Sherry and Scott, along with a friend and the friend's sister-in-law, went to the grocery store and made purchases at 2:19 p.m. Sherry declined her friend's invitation for dinner, saying she wanted to go home. At 2:52 p.m., Sherry made a 911 call from a pay phone, claiming Darks had run her off the road and taken their son. The dispatcher advised her a police officer would meet her at Darks' house. At 3:09 p.m., Sherry made a second 911 call asking about the officer and was told there had been a delay. At 3:27 p.m., Sergeant Ken Davis arrived at Darks' house. Sherry was not there, and Darks' mother indicated she had not seen Sherry that day. About that time a man who lived near Draper Lake noticed a car, later identified as that of Darks, drive into his driveway and then back out. He also saw a small white car stopped at a nearby intersection. When the white car pulled away quickly, Darks' car followed it. Ten to fifteen minutes later, the man heard what sounded like firecrackers exploding, coming from the direction of Draper Lake. A second man was working in his home shop in the same area when he heard his dogs barking. Upon investigating, he saw a white Mustang driven by a woman parked in his driveway at the gate. As he began to walk toward the car, the woman backed out and drove away. He could hear her screaming, so he followed her in his pickup. Eventually, he saw tire tracks in the grass leading from the road into the brush. Following the tracks, he discovered the Mustang with its flashers on and the engine running. When he did not see anyone and no one responded to his calls, he returned home and telephoned 911. Returning to the white car a second time, he called out again but received no response. He then went to the home of his neighbor to telephone her husband, a police officer. The man and his neighbor went back to the car and found Sherry, lying across the seat. She had been shot several times. After receiving a call at 3:55 p.m., police officers proceeded to the crime scene. When the police determined that the deceased woman was Sherry, an officer went to the Darks home to check on Scott and to talk to anyone who might know Sherry. Darks was home. He told the officer that Sherry had called him at 2:30 p.m. and asked him to pick up their son, which he did about 3:00 p.m. and then returned home. At 4:00 p.m., Sherry came to his house asking for money, which he gave her, and she left. He went to the mall with his son at 4:30 p.m. and to his girlfriend's house at 5:30 p.m. Darks agreed to go to the police station for further questioning, where he gave approximately the same story and claimed Sherry could not have called 911. Darks denied killing Sherry, but stated she had gotten what she deserved and what goes around comes around. Darks informed police detectives that they could not place him at the scene of the murder and that they had no gun or fingerprints. During the interview, the police arrested Darks. After his arrest, and while incarcerated in a cell with several others, Darks said that he had killed his girlfriend. He told one man that as she was coming from church, he had taken his son from her and put the boy into his car. She had followed him to Draper Lake, where he had shot her twice in the head and three or four times in the back with a .38 caliber gun. The police investigation revealed that Sherry, who was still wearing her seatbelt, had been shot four times at close range ­ twice in the head, once in the back and once in the arm ­ with a .38 caliber gun through the open window of her car. Although Darks' mother testified that Darks and Sherry were on good terms and that Sherry would leave Scott with her and Darks, Sherry's father testified that the court had taken away Darks' visitation rights. It was undisputed that the two had an ongoing hostile relationship. Two days before the murder, Darks had called Sherry's father and told him Sherry should "get her insurance papers up to date because he's going to put a cap in her." Mr. Goodlow explained at trial he believed this meant Darks was going to kill his daughter. Five minutes after making the call, Darks drove by the Goodlow home. Sherry had expressed fear of Darks and bad feelings toward him before her death. The jury rejected Darks' alibi defense, and found him guilty of first degree murder. During the sentencing stage, the State's evidence elaborated upon the acrimonious love/hate relationship between Sherry and Darks. A store clerk testified about an incident in which Darks came up behind Sherry and grabbed her neck while she was walking in the mall pushing Scott in a baby stroller. Darks released Sherry and then tried to pull Scott from the stroller, while Sherry pleaded for him not to take the child. A police officer took Darks into custody after the store clerk called security. At that time, Darks maintained that Sherry had hit him first and that he wished to press charges. A police sergeant testified he had gone to Sherry's house two or three times after Darks reported she was abusing their son. However, the sergeant had found no evidence of child abuse by Sherry. From 1992 on, a series of police reports concerned both Sherry and Darks. Typically, charges were filed against him but not against her. From January to June 1994, police arrested Darks with increasing frequency. Evidence indicated he had broken the front and back windows on Sherry's car, and had spray-painted her mother's new car and later called her mother to ask if she had enjoyed removing the paint. Darks' mother and sisters testified in mitigation that Sherry and Darks had a stormy relationship, marked by mutual arguments, harassments, jealousies and aggression. Sherry had smashed the windshield of Darks' car, broken off his rearview mirror, poured motor oil and Jell-O over his car, and run into it. Darks' family members, however, had taken Sherry's side in order to prevent the police from arresting her. Additional mitigating evidence indicated that Darks was educated, could provide assistance to others and encourage their educational pursuits, was a good and loving father, was a loving and supportive brother and son, could share his faith in God and prayer with others, and had a history of aggression only with respect to Sherry. Based on the first and second stage evidence, the jury found as an aggravating factor that Darks would be a continuing threat to society, but did not find that the murder was committed to avoid lawful arrest or prosecution. Deciding that the continuing threat aggravator outweighed the mitigating evidence, the jury assessed a death sentence. UPDATE: An Oklahoma death row inmate accused of trying to defraud a compensation fund for victims of the Sept. 11 attacks was sentenced to a year in federal prison. Tyrone Peter Darks, 38, applied for $300,000 to $1 million from the September 11 Victims Compensation Fund, claiming his wife disappeared when she visited the World Trade Center that day. Darks claimed his wife was a wealthy business executive who had earned $4.5 million in each of the last four years, the U.S. attorney said. He was sentenced to one year in prison and two years of supervised release following his term of imprisonment in state prison, U.S. Attorney Sheldon Sperling said. Darks isn't likely to serve the federal sentence since he is on death row for the 1994 murder of his ex-wife. In 2001, Darks allegedly sent The Daily Oklahoman a letter, made to look like a sworn affidavit from a recently executed inmate, claiming that the inmate had been the real killer of Darks' wife, authorities say. Authorities say Darks described the crime but made many factual errors in the letter. Darks, who reportedly had written a similar letter to the newspaper in the past, was arrested hours after Sherry Goodlow's death and convicted by a Cleveland County jury. UPDATE: Ella Goodlow, whose daughter Sherry was killed by ex-husband Tyrone Darks, thinks that capital punishment is acceptable. "They should do as many executions as they can," she said. Goodlow resents the actions that are being taken by people like Jesse Jackson, who marched in Oklahoma against executions, and state Rep. Opio Toure, who wants the state to stop executions for a while to study the justice system. "We're receiving a groundswell of support for the moratorium," Toure said. But Goodlow said that those fighting the executions haven't been through the pain of losing a family member. "If anybody would lose a child like I lost my child and didn't believe in the death penalty, then something is wrong with them," she said. UPDATE: An Oklahoma death row inmate scheduled to die next week received a stay of execution Friday from a federal appeals court. The 10th U.S. 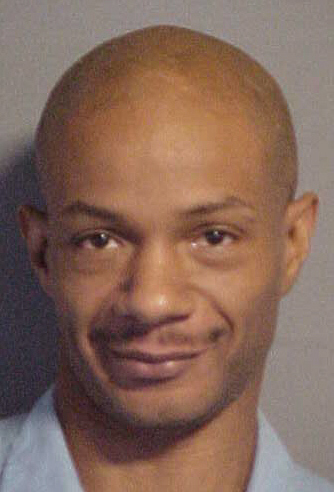 Circuit Court of Appeals in Denver granted the stay to Tyrone Peter Darks, 38, who was scheduled to die on Tuesday for the Aug. 7, 1994, murder of his ex-wife, Sherry Deann Goodlow. The appellate court took the action shortly after Darks asked the U.S. Supreme Court to stop his execution, which would have been the 1st in Oklahoma this year, said Darks' attorney, K. Leslie Delk of Tucson, Ariz. Darks' request for a stay raises procedural issues over his claim that Oklahoma's use of lethal injection is cruel and unusual punishment prohibited under the Eighth Amendment, Delk said. "A veterinarian cannot use those methods on a pet because they are considered cruel," Delk said. One of the chemicals applied during the lethal injection process paralyzes the inmate. "The individual is not necessarily unconscious when the paralytic agent is used," she said. Delk said Darks wants to raise his objections to lethal injection as a civil rights action. Oklahoma Attorney General Drew Edmondson's office has objected to the procedure. The appellate court granted an injunction and stay of execution for Darks until the Supreme Court resolves the issue, she said. Similar issues have been raised in death penalty cases in Texas and Alabama. A spokesman for Edmondson could not be reached for comment Friday evening. Darks was convicted of 1st-degree murder and sentenced to die after he shot Goodlow, 26, 6 times after running her off the road and taking the couple's 2-year-old son. UPDATE: The U.S. Supreme Court cleared the way Tuesday for the state to execute a man for killing his ex-wife nearly 10 years ago. Tyrone Peter Darks' was to be given a lethal injection at 6 p.m. at the Oklahoma State Penitentiary. The high court vacated a stay of execution that was granted last week by the 10th U.S. Circuit Court of Appeals. Darks' attorneys had argued that Oklahoma's use of lethal injection was cruel and unusual punishment barred under the Eighth Amendment of the U.S. Constitution. The Supreme Court decided 5-4 Tuesday to vacate the stay, with Justices John Paul Stevens, David H. Souter, Ruth Bader Ginsburg and Stephen Breyer in opposition. Last week, a North Carolina man was executed after the high court rejected his claim that his state's lethal injection process was cruel and unusual punishment. The same 4 justices voted against permitting the North Carolina execution. A Cleveland County jury convicted Darks of 1st-degree murder in the Aug. 7, 1994, shooting death of Sherry Goodlow, 26. Just before 3 p.m. that day, Goodlow placed a frantic 911 call to Oklahoma City police, saying her ex-husband had run her off the road and taken their 2-year-old son, Scott. After a second call about 20 minutes later, police went to meet her at Darks' residence but Goodlow never showed. A man summoned officers after finding Goodlow's Ford Mustang in high brush near Lake Stanley Draper. He told police she had pulled into his driveway earlier and he heard her screaming as she backed out and pulled away when another vehicle approached. Goodlow had been shot 4 times, suffering wounds to the arm, chest and head. The child was found later unharmed. Darks appealed his October 1995 conviction but the Oklahoma Court of Criminal Appeals affirmed his murder conviction and sentence in 1998. A federal judge overturned his conviction in 2001 but the 10th U.S. Circuit Court of Appeals reversed that decision in April. The Oklahoma Pardon and Parole Board denied him clemency Dec. 12. Darks also was sentenced to a year in federal prison after trying to defraud a compensation fund for victims of the Sept. 11, 2001, terrorist attacks. He also wrote a fake letter made to look like a sworn affidavit from an executed inmate, claiming that inmate had been the real killer of Darks' wife. Joe Goodlow, the victim's father, planned to witness the execution with his daughter. The state of Oklahoma is scheduled to execute Tyrone Peter Darks, a black man, Jan 13 for the 1994 murder of his ex-wife Sherry Goodlow in Cleveland County. The execution is scheduled for 6:00 PM CST. The death sentence was rescinded in a U.S. District Court ruling that the evidence supported manslaughter, not capital murder. However, the 10th Circuit Court of Appeals recently reinstated the death penalty. Mr. Darks was convicted based on circumstantial evidence and testimony from a jailhouse informant who received a drastically reduced sentence in exchange for his statement. Two years before Ms. Goodlow’s death, she and Mr. Darks began a bitter custody dispute over their son. Both had a restraining order against the other, a history of angry confrontations, and a generally “acrimonious relationship.” On the day of the murder, they were again fighting about their child. The investigating officers believed that Ms. Goodlow’s death was the result of an “out-of-control” confrontation and there was no evidence of premeditation. Based on these findings, the U.S. District Court judge ruled that the jury should have been instructed to consider manslaughter as a lesser included offense, and Mr. Darks’s death sentence was overturned. Mr. Darks maintains that he did not show remorse because he did not commit the crime. He also holds that the State’s failure to pay his attorney’s fees on time has compromised his legal representation. Yet, despite the ruling by District Court Judge Tim Leonard that some of Mr. Darks’s “most basic rights were ignored,” the 10th Circuit ruled that a new trial was not necessary and upheld his conviction and death sentence. The State of Oklahoma cannot prove Mr. Darks committed capital murder. Since 1976, Oklahoma has executed 63 people. Fourteen died at the hands of the state in 2003, making up 22 percent of executions in the U.S. last year. Additionally, despite the Supreme Court ruling banning execution of the mentally retarded, the state executed Kenneth Charm in June, and it is one of 22 states that still execute juvenile offenders. Please contact Gov. Brad Henry to ask him for clemency for Tyrone Darks and a moratorium on executions in Oklahoma. Judith McClendon raised her hands and moved toward the glass of the execution chamber of Oklahoma State Penitentiary. As her two daughters held her arms from either side and corrections officers moved toward her, she threw back her head and repeatedly cried, "Thank you, Jesus! Thank you, Jesus!" Just moments before she and her daughters had been seated in folding metal chairs, loudly clapping their hands and making the same calls. "They didn't take him," McClendon cried. "The Lord giveth and the Lord taketh away. Blessed be the name of the Lord." On the other side of the glass, McClendon's 39-year-old son lay dead, executed for the murder of his ex-wife nine years before. Tyrone Peter Darks was pronounced dead at 6:08 p.m., the first Oklahoma inmate executed in 2004. In the final moments before the execution, Darks' chin creased as he unsuccessfully fought against crying. Tears left a wet trail down his cheeks, from the outside corner of his eyes toward his ears, as he raised his head and looked at the family members and attorney who'd come to be with him. "Y'all take care of yourselves," he said. "Do what you can for Scott and Š" the next few words were lost in his mother's cries. Scott is the 11-year-old son of Darks and Sherry Goodlow. The boy, who is now in the fifth grade, has been living with his grandparents since his mother was murdered on Aug. 7, 1994. "He won't burn in hell for a crime he didn't commit," McClendon wailed. But Sherry Goodlow's father, Joe, said she's wrong. At least in part. "He did it," Goodlow said. "He knows he did it." Darks and Sherry Goodlow, whose marriage ended six months after it began, had a stormy relationship. Police in Oklahoma City answered more than a dozen domestic disturbance calls to the couple's home and each had sought protective orders against the other. According to prosecutors, Goodlow had been on her way home with ice cream and other groceries when Darks killed her. The two had been fighting over their 2-year-old son that day in 1994. A 911 call to police indicates Goodlow had contacted them and said Darks had driven her off the road and taken Scott. She was later found slumped over the steering wheel of her car, dead of six gunshot wounds. Darks never addressed Goodlow's family in the moments before the execution. "I'll see y'all later," he said. "This is it. It's over." He turned to stare at the ceiling and yelled, "Praise the Lord! Praise God! Whoooo!" He made no further sound. Joe Goodlow said he's not surprised Darks didn't address Sherry's family, but he wished his wife, Ella, could have seen the execution. She'd gotten involved with victims' support groups after the murder, and remained active in them until she succumbed to lung cancer in September. Darks had fought the execution as long as possible. The 10th Circuit Court of Appeals in Denver had issued a stay of execution Friday, after his attorney had argued that the use of lethal injection was cruel and unusual punishment. But the U.S. Supreme Court rejected the argument by a 5-4 vote late Tuesday afternoon, lifting the stay and paving the way for the execution to move forward. At OSP, the prison staff worked as if the execution had never been ordered stopped. "We've got to be prepared in case it does go forward," said Lee Mann, warden's assistant. "If the stay is lifted and we're not ready -" She let the words hang. Darks was moved to the holding cell of H-Unit Tuesday morning and served a last meal of hot sauce, six extra crispy chicken breasts, six rolls, a bag of jelly beans, a bag of red licorice, six glazed lemon donuts and six cream sodas. The 39-year-old told his family he loved them and urged them to take care of themselves but didn't acknowledge the Goodlows. "I'll see y'all later. This is it. It's over,'' he said as his mother, Judy McClendon, yelled "Praise the Lord! Praise God!'' "Do what y'all can for Scott and Darrell. Time to go home,'' he said. Scott is his 11-year-old son. "I'll see y'all later. This is it. It's over,'' he said as his mother cried, unconsolable. Darks stared at the ceiling as the execution began at 6:06 p.m. and slowly closed his eyes. He was pronounced dead at 6:08 p.m.
A Cleveland County jury convicted Darks of first-degree murder in October 1995 for the Aug. 7, 1994, shooting death of Sherry Goodlow, 26. Her death ended a violent relationship between the couple, whose marriage soured after only six months. Oklahoma City police responded to more than a dozen domestic calls from the couple during their brief marriage and both sought and were granted protective orders against each other. Just before 3 p.m. on the day of her death, Goodlow placed a frantic 911 call to police, saying Darks had run her car off the road and had taken their son, then 2. Officers had arranged to meet Goodlow at Darks' residence but she never showed up. A man summoned police after finding Goodlow slumped over in the front seat of her Ford Mustang in high brush near Lake Stanley Draper. She had been shot six times, suffering wounds to the arm, chest and head. The child, who lives with his grandfather, was later found unharmed. Darks fought his impending death up until the last possible minute. The 10th U.S. Circuit Court of Appeals last week granted an injunction and stay of execution after Darks' attorney argued on civil rights grounds that the state's use of lethal injection was cruel and unusual punishment barred under the Eighth Amendment. Attorney K. Leslie Delk, of Tucson, Ariz., argued that the drugs used to execute Darks included an agent that leaves an inmate conscious but paralyzed while the person suffocates and goes into cardiac arrest. But the U.S. Supreme Court voted 5-4 late Tuesday afternoon to reject the claim and the stay and injunction were lifted. Before the execution began, Darks' mother, Judy McClendon came down the hall outside the death chamber, yelling "Thank you, Jesus! Thank you, Lord!'' and stomping her feet in an uneven cadence. She walked to her seat, got down on her knees and yelled "Rejoice! You are going to see Jesus. I just glorify God.'' After Darks was pronounced dead and the curtain lowered, McClendon walked to the window separating them, raised her hands and yelled, "I love you baby, I love you. "You (God) let me see him come into the world and you let me see him go. "He will not burn in hell for a sin he did not commit.'' Joe Goodlow said Darks' mother wasn't telling the truth but he expressed sorrow for her and her family. "I just pray for his mother and sisters. I know what they're going through,'' he said. Joe Goodlow, who attended the execution with his other daughter, Monet Goodlow, noted his wife, Ella Goodlow, did not live to see the execution. Ella Goodlow, who died of cancer Sept. 15, got involved with a victim's support group and kept tabs on the case as it moved through the system. "She would've loved to have been here,'' he said. Darks was the first inmate put to death in Oklahoma this year. Norman Richard Cleary is scheduled to die Feb. 17 and David Jay Brown is set to die March 9. MUSKOGEE (AP) -- An Oklahoma death row inmate has been charged with trying to defraud a compensation fund for victims of the Sept. 11, 2001, attacks, the U.S. attorney said Thursday. A federal grand jury returned the four-count indictment Wednesday, charging Tyrone Peter Darks with two counts each of false statements and mail fraud, U.S. Attorney Sheldon Sperling said. Darks, 38, allegedly applied for between $300,000 and $1 million from the September 11 Victims Compensation Fund, claiming his wife disappeared when she visited the World Trade Centers that day, Sperling said. Darks, who's in the Oklahoma State Penitentiary in McAlester for killing his ex-wife in 1994, claimed his wife was a wealthy business executive who had earned $4.5 million in each of the last four years, the U.S. attorney said. In 2001, Darks allegedly sent The Daily Oklahoman a letter, made to look like a sworn affidavit from a recently executed inmate, claiming that the inmate had been the real killer of Darks' wife, authorities say. Authorities say Darks described the crime but made many factual errors in the letter. Darks, who reportedly had written a similar letter to the newspaper in the past, was arrested hours after Sherry Goodlow's death and convicted by a Cleveland County jury. McALESTER, Okla. -- The state of Oklahoma on Tuesday executed an Oklahoma City man who shot his wife to death nearly 10 years ago. Tyrone Peter Darks, 39, was pronounced dead at 6:08 p.m. at the Oklahoma State Penitentiary after a lethal mixture of drugs was administered. Darks fought his impending death up until the last possible minute. The 10th U.S. Circuit Court of Appeals last week granted an injunction and stay of execution after Darks' attorney argued on civil rights grounds that the state's use of lethal injection was cruel and unusual punishment barred under the Eighth Amendment. K. Leslie Delk, of Tucson, Ariz., argued that the drugs used to execute Darks included an agent that leaves an inmate conscious but paralyzed while the person suffocates and goes into cardiac arrest. But the U.S. Supreme Court voted 5-4 late Tuesday afternoon to reject the claim and the stay and injunction were lifted. The Aug. 7, 1994, fatal shooting of Sherry Goodlow, 26, brought a violent end to the couple's relationship, which soured after only six months of marriage. Oklahoma City police responded to more than a dozen domestic calls from the couple and each sought and were granted protective orders against each other. Just before 3 p.m. on the day of her death, Goodlow placed a frantic 911 call to police, saying Darks had run her car off the road and had taken their 2-year-old son, Scott. Officers had arranged to meet Goodlow at Darks' residence but she never showed up. A man summoned police after finding Goodlow slumped over in the front seat of her Ford Mustang in high brush near Lake Stanley Draper. She had been shot six times, suffering wounds to the arm, chest and head. Her child, now 11, was later found unharmed. Darks appealed his October 1995 conviction but the Oklahoma Court of Criminal Appeals affirmed his murder conviction and sentence in 1998. A federal judge overturned the conviction and death sentence in 2001 but the 10th U.S. Circuit Court of Appeals reversed that decision in April. The Oklahoma Pardon and Parole Board denied him clemency Dec. 12. Darks also was sentenced to a year in federal prison after trying to defraud a compensation fund for victims of the Sept. 11, 2001, terrorist attacks. He also wrote letters, including one that was supposedly from another convicted killer who confessed to killing Goodlow. Darks was the first inmate put to death in Oklahoma this year. Fourteen people were executed in 2003. I am innocent and need immediate help! Back in 1994 my ex-wife was found shot to death in her car while I was at home baby-sitting our son. The only investigation done by Oklahoma City Police Department was to accuse me of a bitter divorce, child custody battle and showing no remorse for the death of my ex wife. "Only a guilty person of a crime shows remorse." A person innocent of a crime shows no remorse for a crime he did not commit. The State of Oklahoma had no physical evidence to link me to the crime. The states eyewitnesses put me away from the crime scene even though there was major contradictions in the states eyewitness testimony. My alibi was valid. The best that the state could do was use the testimony of a jail house informant who was facing a minimum of 60 years in prison but was handed probation and a six year suspended sentence for his testimony. He was in jail for selling stolen merchandise to a pawn shop. I never owned a gun in my life. The State of Oklahoma lied when they arrested me. No probable cause. Warrantless arrest. False detainment. Falsified police reports to cover up their mistakes. Ignored 2 911 emergency calls that my wife placed before her death which could have saved her life if the Oklahoma City Police Department would have answered the calls when placed. Even with no evidence the State of Oklahoma was able to get a conviction out of all white jury. I wonder where these people get their figures from. Because of state paying my attorney late, and holding back money she is owed, not paying her all the money they owe her, she has to pay off a 2000.00 plus phone bills from clients not to mention costs of coming to visit. She has been left in financial disaster from doing death row cases, behind in bills, house mortgage, land mortgage. She had to take on a minimum wage job 5.15 an hour full time just to make ends meet ! To make matters worse the State of Oklahoma is deliberately making my attorney unable to properly do her job because of not paying her the money she is owed. For doing these cases and they won't give her the funds to hire people that can help prove my innocence. At the moment we need to hire a forensic pathologist expert, private investigator, and a crime scene reconstructurist. They won't have much work to do because I'm innocent. And the State Attorney Generals office just admitted that I was innocent. People say that the United States discriminates. That's untrue. Under this justice system you are guilty until you can buy your way out of it or they try to force you to plea bargain. Assistant District Attorney Rick Sitzman for the Court of Cleveland County in the first 5 minutes of opening arguments knew his case was so weak he tried to get me to plead guilty and they would not seek the death penalty against me. I told the man, what kind of fool do you think I am ? Plead guilty when I am innocent. What irritates me is that the only people that are getting action on their cases are people who admitted to a court, police, and signed a confession saying they are guilty of a crime, these are the people who are getting new trials and all the financial support for their cause and media attention and celebrities, "stars" supporting their cause when they themselves have admitted to their guilt. Before the state of Oklahoma ruined my life I was a proud father of a 2 year old church goer, good job, working on a masters in management, engaged to be remarried, devoted family. Here is a direct response that the state of Oklahoma has filed on my case CIV98538L Assistant Attorney General Robert Whittaker and Oklahoma State Bureau Investigator OSBI just told United States Western district Oklahoma City Judge Tim Leonard "There is no evidence on this case. There was never any investigation done by any law enforcement agency in Oklahoma on this case, the reason MR. DARKS was charged was because he showed no remorse" (innocent people don't show remorse for a crime they didn't do.) Bitter divorce, child custody battle. MR. DARKS was wrongfully convicted. After many direct attempts to obtain my immediate release from Oklahoma's Governor Frank Keating, Oklahoma Attorney General Drew Edmundson, US Judge Tim Leonard, refuse to release me. Oklahoma corrects their mistakes by executing people. Age 35, Aug. 26 - 6'2", light brown complexion. African American. Single parent. Son age 7. Christian. Single, marriage minded. Army National Guard - College Graduate 1991 University of Central Oklahoma. BA degree in Political Science. I am innocent and need immediate help! Right now I need to replace my TV set. MIKE MULLIN,Warden, Oklahoma State Penitentiary, Respondent-Appellant. Before SEYMOUR, BALDOCK, and KELLY, Circuit Judges. Petitioner Tyrone Peter Darks was convicted of the first degree murder of his former wife Sherry Goodlow and sentenced to death in Oklahoma state court. The Oklahoma Court of Criminal Appeals (OCCA) affirmed the conviction and sentence, see Darks v. State, 954 P.2d 152 (Okla. Crim. App. 1998), and denied post-conviction relief, see Darks v. State, 954 P.2d 169 (Okla. Crim. App. 1998). On federal habeas review, the district court granted Mr. Darks relief from both the conviction and the sentence. The court held that the trial court had violated Beck v. Alabama, 447 U.S. 625 (1980), by failing to instruct on first degree manslaughter as a lesser included offense of capital murder, and had unconstitutionally coerced the death verdict by giving the jury a supplemental instruction. The court also held that cumulative error had unconstitutionally affected the entire proceedings. The State appeals. (1) Exercising jurisdiction pursuant to 28 U.S.C. §§ 1291 and 2253, we reverse the grant of habeas relief on both the conviction and sentence. The following evidence was presented during the guilt phase of Mr. Darks' trial. On August 7, 1994, the day of her death, Ms. Goodlow went to church with Scott, her two-year old son by Mr. Darks. After the service, Ms. Goodlow and Scott, along with a friend and the friend's sister-in-law, went to the grocery store and made purchases at 2:19 p.m. Ms. Goodlow declined her friend's invitation for dinner, saying she wanted to go home. At 2:52 p.m., Ms. Goodlow made a 911 call from a pay phone, claiming Mr. Darks had run her off the road and taken their son. The dispatcher advised her a police officer would meet her at Mr. Darks' house. At 3:09 p.m., Ms. Goodlow made a second 911 call asking about the officer and was told there had been a delay. At 3:27 p.m., Sergeant Ken Davis arrived at Mr. Darks' house. Ms. Goodlow was not there, and Mr. Darks' mother indicated she had not seen Ms. Goodlow that day. About that time Jamey Harrison, who lived near Draper Lake, noticed a car, later identified as that of Mr. Darks, drive into his driveway and then back out. Mr. Harrison also saw a small white car stopped at a nearby intersection. When the white car pulled away quickly, Mr. Darks' car followed it. Ten to fifteen minutes later, Mr. Harrison heard what sounded like firecrackers exploding, coming from the direction of Draper Lake. Mark Folks was working in his home shop in the same area when he heard his dogs barking. Upon investigating, he saw a white Mustang driven by a woman parked in his driveway at the gate. As he began to walk toward the car, the woman backed out and drove away. He could hear her screaming, so he followed her in his pickup. Eventually, he saw tire tracks in the grass leading from the road into the brush. Following the tracks, he discovered the Mustang with its flashers on and the engine running. When he did not see anyone and no one responded to his calls, he returned home and telephoned 911. Returning to the white car a second time, he called out again but received no response. He then went to the home of his neighbor Sherry Heinken to telephone her husband, a police officer. Mr. Folks and Ms. Heinken went back to the car and found Ms. Goodlow, lying across the seat. She had been shot several times. After receiving a call at 3:55 p.m., police officers proceeded to the crime scene. When the police determined that the deceased woman was Ms. Goodlow, an officer went to the Darks home to check on Scott and to talk to anyone who might know Ms. Goodlow. Mr. Darks was home. He told the officer that Ms. Goodlow had called him at 2:30 p.m. and asked him to pick up their son, which he did about 3:00 p.m. and then returned home. At 4:00 p.m., Ms. Goodlow came to his house asking for money, which he gave her, and she left. He went to the mall with his son at 4:30 p.m. and to his girlfriend's house at 5:30 p.m.
Mr. Darks agreed to go to the police station for further questioning, where he gave approximately the same story and claimed Ms. Goodlow could not have called 911. Mr. Darks denied killing Ms. Goodlow, but stated she had gotten what she deserved and what goes around comes around. Mr. Darks informed police detectives that they could not place him at the scene of the murder and that they had no gun or fingerprints. During the interview, the police arrested Mr. Darks. After his arrest, and while incarcerated in a cell with Richard Maytubby and others, Mr. Darks said that he had killed his girlfriend. He told Mr. Maytubby that as she was coming from church, he had taken his son from her and put the boy into his car. She had followed him to Draper Lake, where he had shot her twice in the head and three or four times in the back with a .38 caliber gun. The police investigation revealed that Ms. Goodlow, who was still wearing her seatbelt, had been shot four times at close range­twice in the head, once in the back and once in the arm­with a .38 caliber gun through the open window of her car. Although Mr. Darks' mother testified that Mr. Darks and Ms. Goodlow were on good terms and that Ms. Goodlow would leave Scott with her and Mr. Darks, Ms. Goodlow's father testified that the court had taken away Mr. Darks' visitation rights. It was undisputed that the two had an ongoing hostile relationship. Two days before the murder, Mr. Darks had called Mr. Goodlow and told him Ms. Goodlow should "get her insurance papers up to date because he's going to put a cap in her." Tr. vol. V at 898. Mr. Goodlow explained at trial he believed this meant Mr. Darks was going to kill his daughter. Five minutes after making the call, Mr. Darks drove by the Goodlow home. Ms. Goodlow had expressed fear of Mr. Darks and bad feelings toward him before her death. The jury rejected Mr. Darks' alibi defense, and found him guilty of first degree murder. During the sentencing stage, the State's evidence elaborated upon the acrimonious love/hate relationship between Ms. Goodlow and Mr. Darks. A store clerk testified about an incident in which Mr. Darks came up behind Ms. Goodlow and grabbed her neck while she was walking in the mall pushing Scott in a baby stroller. Mr. Darks released Ms. Goodlow and then tried to pull Scott from the stroller, while Ms. Goodlow pleaded for him not to take the child. A police officer took Mr. Darks into custody after the store clerk called security. At that time, Mr. Darks maintained that Ms. Goodlow had hit him first and that he wished to press charges. Sergeant Aven Bull testified he had gone to Ms. Goodlow's house two or three times after Mr. Darks reported she was abusing their son. However, Sergeant Bull had found no evidence of child abuse by Ms. Goodlow. From 1992 on, a series of police reports concerned both Ms. Goodlow and Mr. Darks. Typically, charges were filed against him but not against her. From January to June 1994, police arrested Mr. Darks with increasing frequency. Evidence indicated he had broken the front and back windows on Ms. Goodlow's car, and had spray painted her mother's new car and later called her mother to ask if she had enjoyed removing the paint. Mr. Darks' mother and sisters testified in mitigation that Ms. Goodlow and Mr. Darks had a stormy relationship, marked by mutual arguments, harassments, jealousies and aggression. Ms. Goodlow had smashed the windshield of Mr. Darks' car, broken off his rearview mirror, poured motor oil and Jell-O over his car, and run into it. Mr. Darks' family members, however, had taken Ms. Goodlow's side in order to prevent the police from arresting her. Additional mitigating evidence indicated that Mr. Darks was educated, could provide assistance to others and encourage their educational pursuits, was a good and loving father, was a loving and supportive brother and son, could share his faith in God and prayer with others, and had a history of aggression only with respect to Ms. Goodlow. Based on the first and second stage evidence, the jury found as an aggravating factor that Mr. Darks would be a continuing threat to society, but did not find that the murder was committed to avoid lawful arrest or prosecution. Deciding that the continuing threat aggravator outweighed the mitigating evidence, the jury assessed a death sentence. With respect to the first stage of trial, we conclude that the strong circumstantial evidence of Mr. Darks' guilt overcomes the cumulative impact of the four guilt stage errors. See Hooper, 314 F.3d at 1178 (deciding no prejudice due to extensive evidence supported finding of guilt). Each of the four errors had minor significance. See Alvarez, 225 F.3d at 825 ("courts must be careful not to magnify the significance of errors which had little importance"). They did not significantly strengthen the State's case or diminish Mr. Darks' case. "No reasonable probability exists that the jury would have acquitted [Mr. Darks] absent the errors." Hooper, 314 F.3d at 1178. Thus, the cumulative effect of the first stage errors was harmless. With respect to the second stage, we likewise conclude the cumulative error was not prejudicial to Mr. Darks. Substantial evidence supported the continuing threat aggravator. Moreover, during his videotaped interview, which was shown to the jury, Mr. Darks showed no remorse and instead indicated an extreme callousness about the murder. In our judgment, the cumulative impact of all six of the assumed errors is insufficient to undermine the continuing threat aggravator. Consequently, no reasonable probability exists that the jury would have imposed a sentence less than death absent these errors. We conclude Mr. Darks was not entitled to habeas relief from his conviction or from his sentence. Accordingly, we REVERSE the district court's grant of habeas relief. Defendant was convicted, in the District Court, Cleveland County, William C. Hetherington, Jr., J., of first-degree murder with malice aforethought, and defendant was sentenced to death. Defendant appealed. The Court of Criminal Appeals, Johnson, J., held that: (1) irrelevant comments should have been redacted from videotape of defendant's post-arrest interview with detectives, but trial court's admonishment to jury made the error harmless; (2) defendant's confession to a jailhouse informant was voluntary, and thus was not the product of an illegal detention of defendant for more than 48 hours without determination of probable cause; (3) evidence sustained conviction; (4) admission of forged divorce decree granting custody of defendant's child to defendant was erroneous, as it suggested other crimes, but error was harmless; (5) evidence sustained finding that defendant voluntarily, knowingly, and intelligently waived his right to be present during individual voir dire, return of verdict, and sentencing; (6) evidence sustained aggravating sentencing factor of continuing threat to society; (7) trial court erred in admitting two photographs as victim impact evidence, but errors were harmless; (8) prosecutor's closing arguments at guilt and sentencing phases were not improper; and (9) counsel was not ineffective. Affirmed. Chapel, P.J., and Lane, J., concurred in results. Tyrone Peter Darks, hereinafter "Appellant," was tried and convicted by jury of the crime of Murder in the First Degree, malice aforethought, in Case No. CF-94-1024 in the District Court of Cleveland County before the Honorable William C. Hetherington, Jr., District Judge. The jury found one aggravating circumstance: that Appellant would constitute a continuing threat to society. The trial judge sentenced Appellant in accordance with the jury's recommendation of death. From this judgment and sentence, Appellant has perfected this appeal. On Sunday, August 7, 1994, Sherry Goodlow, the decedent in this case, went to church with her two-year-old son, Scott, and her friend, Shurl Gabriel. After the services, they went grocery shopping in Del City, Oklahoma. According to the store receipt, the purchase was consummated at 2:19 p.m. and Ms. Gabriel went home. At 2:52 p.m., Ms. Goodlow called 911 from a pay telephone north of Reno on Eastern Avenue and reported that Appellant, her ex- husband and father of Scott, ran her off the road and took their son. After explaining she had legal custody of Scott, she was advised that an officer would meet her at Appellant's residence. At 3:09, Ms. Goodlow made another 911 call to inquire of the whereabouts of the officer. At 3:15, Sergeant Ken Davis, Oklahoma City police officer, received the dispatch to go to Appellant's residence. When the officer subsequently arrived at 3:27 p.m., he found neither Ms. Goodlow nor Appellant and was told by Appellant's mother that she had not seen or heard from Ms. Goodlow. Jamey Harrison testified that on that same afternoon, he was working outside on the driveway of his home located near S.E. 89th and Westminster Road, east of Lake Stanley Draper, when a black male drove into his driveway. At trial, Mr. Harrison identified the vehicle from photographs as Appellant's vehicle. Thinking the man may have wanted directions, Mr. Harrison walked toward the vehicle which slowly backed out while the driver kept looking at Mr. Harrison. Mr. Harrison then noticed a small white vehicle with a black driver stopped at the intersection of 89th and Westminster. The white vehicle took off "real fast." Appellant's vehicle accelerated and turned behind the white vehicle. Mr. Harrison lost sight of both vehicles after they turned the corner. Approximately 10 to 15 minutes later, Mr. Harrison heard what sounded like exploding firecrackers coming from the direction southwest of his home. Mark Folks testified that sometime after 3:00 p.m. on the same afternoon, he was working on his pickup truck in his home shop located near 97th and Westminster Road when he heard his dogs barking. He went outside and saw a black female driver in a white Mustang sitting in his driveway in front of the steel gate of his home. When Mr. Folks was about halfway to the vehicle, the woman backed out of the driveway and drove south to the intersection of Westminster and Draper Drive. Mr. Folks could hear the woman screaming. Thinking the woman may be in danger, Mr. Folks ran back to his shop and got into his pickup to follow the woman. When Mr. Folks got to the corner of Westminster, he did not see the vehicle. He turned south, drove a short distance and turned back around. When he got back to the intersection of Westminster and Stanley Draper Drive, Mr. Folks saw tire tracks in the grass along the north side of Stanley Draper Drive. Mr. Folks followed the tracks into the brush, discovered Ms. Goodlow's vehicle with the engine still running and the lights still flashing. Mr. Folks called out to determine if anyone would answer. When he got no response, Mr. Folks went back to his house and called 911. Mr. Folks then went to his neighbor's home where Oklahoma City Police Office Heinken lived. Officer Heinken was not at home. Mrs. Heinken accompanied Mr. Folks to the vehicle. As he approached the vehicle, he noticed the windows were down approximately four (4) inches on each side and Ms. Goodlow lying across the seat. Richard Maytubby testified he was a cell-mate of Appellant while they were at the Oklahoma City jail. During a conversation among the other cell-mates, Appellant admitted he killed his girlfriend. According to Maytubby, Appellant told them his girlfriend was coming from church and somewhere on the east side [of the city], he got his son from her and put him into his car. She followed him up to Draper Lake. When he got there, he shot her twice in the head and three or four times in the back with a .38 caliber gun. She was sitting in the car, her foot on the brake, and the car still in drive when he shot her. By stipulation, Gordon Robertson, ballistics expert for the State, testified that the three bullets recovered from the victim's body and the one recovered from her car were all consistent with a .38 caliber. In mitigation, Appellant presented testimony from family members, his Pastor and his Pastor's wife and offered: 1. The defendant is a good father. 2. The defendant loved his son and went to jail in order to see his son. 3. The defendant and Sherry Goodlow had a stormy relationship aggravated by mutual tempers, jealousies and random acts of aggression. 4. The defendant is well educated and may provide valuable assistance to others and encourage educational pursuits. 5. Throughout their eight year relationship both the defendant and Sherry Goodlow had periods of mutual happiness and love. 6. The defendant has been a loving and supportive brother and son to his family. 7. The defendant has no prior history of aggression, other than the incidents related to his relationship with decedent. 8. The defendant has a personal relationship with God and can share his faith and prayers with others. Upon carefully considering and reviewing the evidence which supports the aggravating circumstance, as well as the evidence which may be considered mitigating, we find the sentence of death is factually substantiated and appropriate. Furthermore, we find that the sentence of death was not imposed under the influence of passion, prejudice or any other arbitrary factor. Finally, no error exists warranting reversal or modification. The judgment and sentence is AFFIRMED.